Lauren Jauregui "lost [herself]" and her "artistry" in Fifth Harmony. The 22-year-old singer has experienced an "insane amount of exploration" since her group went on hiatus in March after six years together and she admitted there has been an "unleashing of a lot of feelings" over the last few months. She said: "I needed everything to have happened exactly the way it did, to be honest, because everything and exactly how it unravelled ... It taught me so much about myself and my character. "This year has a been an insane amount of exploration, just kind of getting really deep down into my own heart and my own things I've been through and things I've not really talked to myself about. "I feel like a lot of us kind of float through life and we get to this point of numbness, and we don't really know how we got there. "We're not really feeling as much. And that's to say to the good things as much as the bad things. I noticed when I lost touch of feeling, I lost my artistry. I lost myself and what I love to do because I couldn't really get in touch with that anymore." 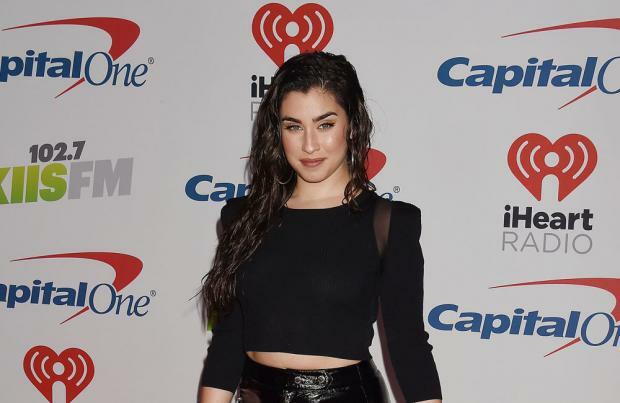 Despite enjoying a lot of success with the group, who formed on the US version of 'The X Factor' in 2012, Lauren admitted she didn't really get chance to "absorb" their experiences because they were always being pushed to move on and do better. "Even then, a lot of the stuff happens so quickly you don't have time to absorb it. You don't have time to process it. You're on to the next, and if you're not on to the next you're a flop. "They don't give you time to breathe or enjoy what you're doing, or to even allow it to grow into something anymore. If it didn't chart within the first five minutes of it being released, like, it's a flop." The 'Expectations' singer is now trying to "detach" from the "pop model" to do something "real and authentic" and revealed she's written more than 40 songs that are in consideration for her debut solo album. She said: "I wasn't [writing before then] because I was not alive. "I had zero inspiration ... It was draining. It taught me a lot about myself. It taught me a lot about the industry. It taught me a lot about communication. It taught me a lot about how to handle things. But it definitely took a lot of energy in that process. And that energy, I just didn't have it to put it into art. "I thought that I had lost my talent, that it was gone, that it had been taken away because I wasn't using it. "It was scary 'cause as an artist, that's the only thing that I have. That's my identity. That was my identity for so long when I was younger."